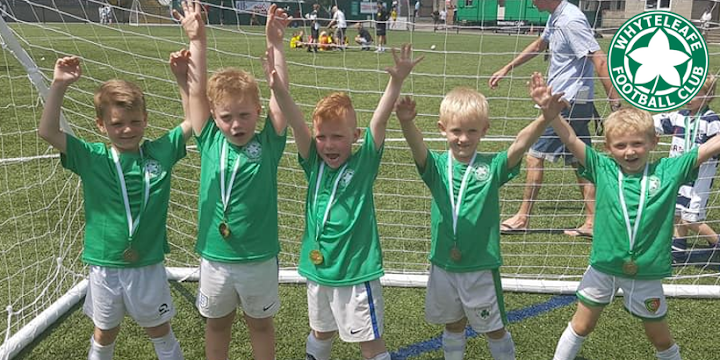 After the fantastic success of the previous years' events we're holding our fifth big summer tournament for teams from Under 7s through to Under 11s on the weekend of 22nd and 23rd June. All matches will be played on a 3G surface, either our "mini astro" or our main stadium pitch. Standard & Development Competitions followed by Cup Knockout. Every team will be in the knockout stage and guaranteed at least 1 cup match. All U7Ss will receive a medal. All age groups are as per the current playing season 2018/2019. Tuck Shop, BBQs, Ice Creams, Soft Drinks, Tea, Coffee and Bar Facilities will be available. Car parking will be available in the school field adjacent to the football club. Please note that entry to the car park is directly from Church Road not via the football club. Once again, we have DE Photos in attendance. For further information, or if you would like to enter our summer junior tournament please contact Kieron Horn on 07934861522 or email kieron.horn@whyteleafefc.co.uk who will then send you an entry form.